Eric Mazur is the Balkanski Professor of Physics and Applied Physics at Harvard University and Area Dean of Applied Physics. An internationally recognized scientist and researcher, he leads a vigorous research program in optical physics and supervises one of the largest research groups in the Physics Department at Harvard University. Mazur founded several companies and plays an active role in industry. He has served the OSA previously as Director-at-large. Dr. Mazur came to Harvard University in 1982 after obtaining his Ph.D. at the University of Leiden in the Netherlands. In 1984 he joined the faculty and obtained tenure six years later. Dr. Mazur has made important contributions to spectroscopy, light scattering, the interaction of ultrashort laser pulses with materials, and nanophotonics. Dr. Mazur received an Honorary Doctorate from the Ecole Polytechnique and the University of Montreal (2008) and holds Honorary Professorships from Beijing University of Technology, Beijing Normal University, and the Institute of Semiconductor Physics of the Chinese Academy of Sciences. 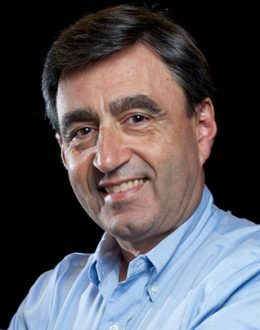 Eric Mazur has received numerous awards, including the Esther Hoffman Beller award from the Optical Society of America and the Millikan Medal from the American Association of Physics Teachers. In 2014 Mazur became the inaugural recipient of the Minerva Prize for Advancements in Higher Education. He is Fellow of the Optical Society of America and Fellow of the American Physical Society. He is a Member of the Royal Academy of Sciences of the Netherlands and a Member of the Royal Holland Society of Sciences and Humanities. He has held appointments as Visiting Professor or Distinguished Lecturer at Princeton University, Vanderbilt University, University of Leuven in Belgium, National Taiwan University in Taiwan, Carnegie Mellon University, and Hong Kong University. Dr. Mazur has served on numerous committees and councils, including advisory and visiting committees for the National Science Foundation, and has chaired and organized national and international scientific conferences. He serves as consultant to industry in the electronics and telecommunications industry. In 2006 he founded SiOnyx, a company that is commercializing black silicon, a new form of silicon developed in Mazur’s laboratory. Mazur is currently Chairman of the Scientific Advisory Board for SiOnyx. In 2011 he founded Learning Catalytics, a company that uses data analytics to improve learning in the classroom. In 2013 the company was acquired by Pearson. Mazur is Chief Academic Advisor for Turning Technologies and serves on the Scientific Advisory Panel for Allied Minds, a pre-seed investment company creating partnerships with key universities to fund corporate spin-outs in early stage technology companies. In addition to his work in optical physics, Mazur has been very active in education. In 1990 he began developing Peer Instruction, a method for teaching large lecture classes interactively. He is the author of Peer Instruction: A User’s Manual (Prentice Hall, 1997), a book that explains how to teach large lecture classes interactively. In 2006 he helped produce the award-winning DVD Interactive Teaching. Dr. Mazur’s teaching method has developed a large following, both nationally and internationally, and has been adopted across many disciplines. Dr. Mazur is author or co-author of 288 scientific publications, 36 patents, and several books, including the Principles and Practice of Physics (Pearson, 2014), a book that presents a groundbreaking new approach to teaching introductory calculus-based physics. Mazur is a sought-after speaker on optics and on education.